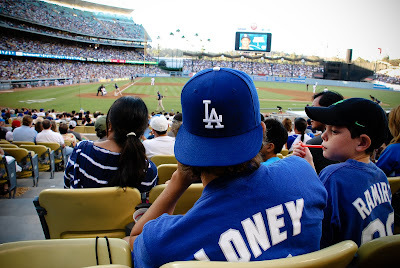 365 Days in Photographs: September 6 // My Very First Doyers Game. 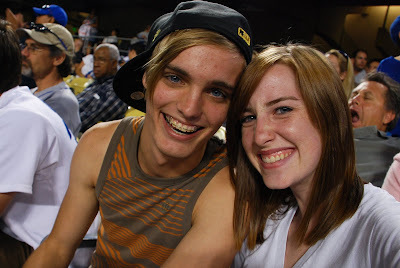 September 6 // My Very First Doyers Game. 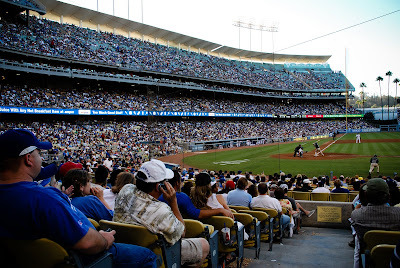 Yes, I am 20-years-old & I've never been to a Dodger game. I didn't have any problem with this until tonight when Matt, his Dad & brother had an extra ticket & Matt decided that it is time I enter the world of major league baseball. I'm glad he did because it was SO much fun! We had AMAZING seats & they played the Padres which was really exciting for me since my family [kind of] lived in SD for 5 years. I think I'll definitely be going to more games in the future. GO DOYERS!!! Wow, a DOYER game, I'm jealous, DOYER games are the best! DOYER vs. the Padres is even better! 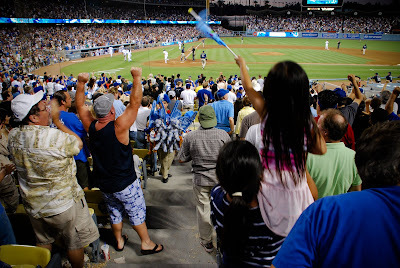 I've actually never been to a DOYER game either... who are the DOYER's anyway? 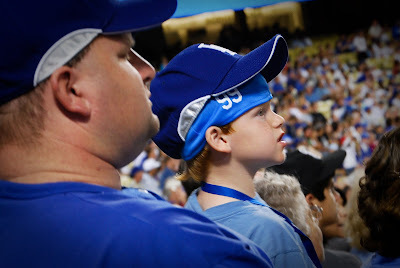 you actually have been to a doyer game dad - and it was against the padres. nice! good for you! next is a mariners game?! Who ever said you were the best speller anyway???? You are an awesome photographer though.....The 3 photos of the batter placed into one photo are incredible Meghan. Who needs to know how to spell "Doyers" anyway!!! Your dad.....What can we say.......He is just plain weird!!!! 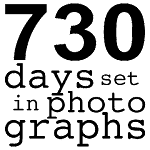 Only 8 days until Sept. 14th which is the last day of 365 Days. I just went back and looked at last Sept. Terrible horrible day was my favorite!!! My favorite entry out of all of these is your mom's when she calls MANNY RAMIREZ "the batter." Hello? Does she not read the newspaper? Does middle TN even have newspapers? Can they even read in middle TN? PS - did you buy Hunter a new Padres hat because he is obviously very bitter about losing his? FYI Auntie!!! How in the heck was I to know that was Manny Ramirez?? For your info I do read our paper "The Tennessean" however I choose to avoid the Sports section. You only hear about the Titan's, Commodores, or Volunteers out this way. Oh well, not many Doyer games in my past as well. all I can say is that now when Matt and I are watching sport center I refer to Manny as the batter!